Hey guys! Its Blaze back with another guide for you all! Today, I will be talking about a card everywhere in the current meta: The Battle Ram!! When the Battle Ram first came out it was pretty under-rated and was considered an off-meta card. 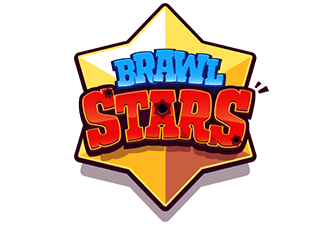 But a few players started trying out and slowly and slowly the popularity of Battle Ram started to increase until it became one of the strongest meta card right now. Battle Ram is a Rare Card costing 4 Elixir and is unlocked from Arena 6 (Builder’s Workshop). It is a building-targeting troop. The Battle Ram charges to the nearest building and after it is destroyed, it will spawn two Barbarians. The charge mechanic is similar to that of the Prince and Dark Prince. The Ram acts as a shield for the Barbarians. This makes it a great card on defense in order to absorb damage and buy some time. After the Ram is destroyed, the Barbarians will damage the opposing troops. It is a great kiting card. Placing it in the centre of the arena but a bit towards the other lane, the opposing troops will target and follow the Battle Ram. Then you can use other ranged troops to target the opposing card while the Battle Ram escapes due to its charge mechanic. Sometimes, it can also reach the opponents Tower. Battle Ram is able to resist the pull-effect of Tornado while it is charging. So, rather than been pulled it is kinda stuck in the place, neither moving forward nor backward. When placed behind a tank, Battle Ram is deadly as the player will need to counter the tank first and then the Battle Ram. Battle Ram due to being fast while charging can go straight to the Tower or destroy any buildings that is distracting the tank. This combo is vulnerable to splash. Battle Ram’s real strength is its charge-mechanic. While not charging its really weak and not much of a threat and can be countered very easily. This makes it weak against which can reset its charge. 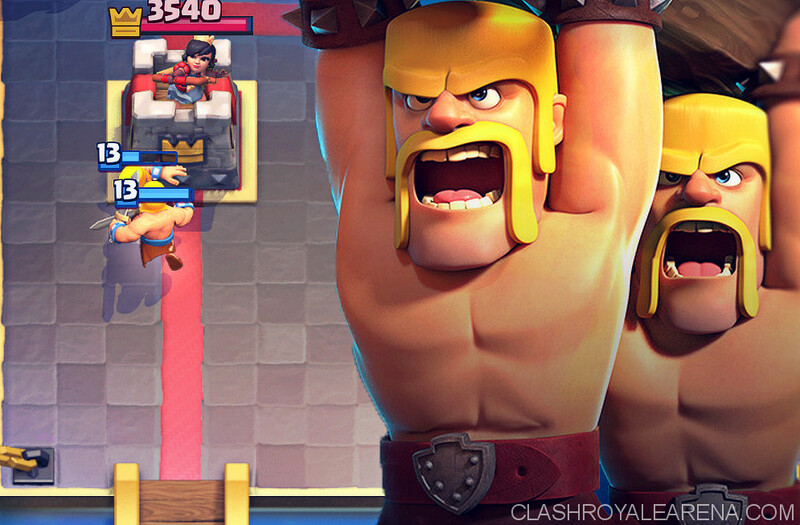 If you have never played with the Battle Ram you may not know this, but against certain cards, the damage that kills the Ram also damages the Barbarians. This happens with cards like The Log, Bowler and Executioner as they deal linear damage. So the projectile after killing the Ram hits the barbarian which spawn behind. Playing it like a lone win-condition is a bad idea as it only targets-buildings and even with strong support, after hitting a building the Barbarians aren’t good as a win-conditions. SO, its better to have another way to deal damage. It is extremely weak against swarms as they can kill the Ram and Barbarians very quickly. Battle Ram + Poison: This combo is a strong because Poison clears out swarms very quickly clearing the way for the Ram to hit the Tower. Battle Ram + P.E.K.K.A. : This combo is popular right now because the P.E.K.K.A. acts as a tank and a threat card. People use a lot of Elixir to defend her because even one swing can be devastating. This results in less Elixir to counter the Battle Ram which deals lot of damage. Battle Ram + Three Musketeers: This is the most popular combo in challenges right now. Battle Ram act as a tank for the 3M which can clear any troop that is used to counter the Ram. Battle Ram + Knight: This is a basic combo. Not much to say about it, Knight just acts as a tank for the Battle Ram, but you will need support and spells for better damage. Battle Ram + Ice Golem: Ice Golem is the cheapest tank and it works great because its Frost Nova can kill Skeletons and Bats and can damage Goblins(Goblin Gang) and Minions well enough that they die to Zap. Battle Ram + Valkyrie: A rather pumped-up Ice Golem combo, the Valkyrie can quickly clear any ground swarms as well as tank for the Ram. Only weakness is air troops so be sure to use spells and support troops. Battle Ram + Lumberjack: This combo utilizes the Rage effect of Lumberjack. A raged charging Battle Ram is damn fast and quickly reach the Tower. Just be sure to take care of swarms. 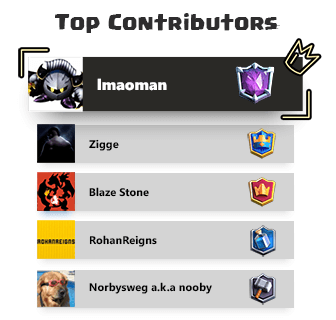 Battle Ram + Golem: Golem is the costliest and beefiest tank in the game. Making it great damage absorber for the Battle Ram. After the Golem dies, its death damage clears out all swarms and you still have the Golemites. Battle Ram + Lava Hound: Lava Hound is another strong tank in the game. It is a great damage absorber and after the hound dies, the Lava pups will support the Ram which will now act as a tank. This combo was popular few weeks ago but now not much seen as people prefer Balloon with the hound and other Ram combos. Battle Ram + Miner: Another great combo, this was popular before the Bandit buff. The two win-condition combo and their synergy with Poison makes it strong. Miner acts as a tank for the Ram and the Barbarians. Battle Ram + Bandit + Night Witch: I like to call this ‘The Phantom’. This is the strongest and the deadliest combo with the Battle Ram at the moment. You will see this in a variety of decks in challenges and tournaments. The combined force of the 3 cards is devastating and with right support will be insane. Note: Battle Ram can be countered by many cards but I am gonna state only the ones which give positive, neutral and -1 Elixir negative trade without receiving Tower damage. Buildings: Battle Ram targets buildings only. So, technically any building can counter Battle Ram. Swarms (Skeleton Army, Minion Horde, Goblin Gang, Barbarians): These swarms have a high DPS so they quickly kill the Ram as well as the Barbarians. Mini P.E.K.K.A. : Due to her (or his?) high damage she can one shot the Ram and the Barbarians along with the help of Crown Towers. Even without the help of Crown Tower, she is a hard counter to the Battle Ram. 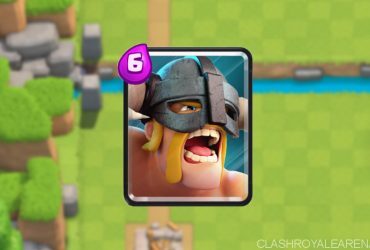 Night Witch: Night Witch takes two hits to kill the Ram and each barbarian. However, due to Crown Tower and the Bats she spawns, her work is easier. Electro Wizard: This guy deals good damage and constantly stuns the Ram, resetting its charge again and again. And even after the Ram is destroyed, he can take care of the Barbarians too. He is the worst night mare of the Battle Ram. Charge Reset + Any Troop: As I said above, without its charge, the Battle Ram is very weak. So if you reset its charge using Zap, Log, Ice Spirit or even Tornado, any troop will take care of it. Read more about deck archetypes at here. Beatdown: A Battle Ram Beatdown Deck is generally constructed with another win-condition with high HP. Best examples are Golem and Lava Hound. The main tactic of any beatdown Deck is generally gaining Elixir advantage and then placing down all troops to build an seemingly unstoppable push. Battle Ram works in this Deck because it destroys any building trying to distract and kill the tank and also acts as a secondary tank for the support. After the Ram dies, the Barbarians still deal lot of damage behind the main tank of the Deck. Control: This is the archetype in which Battle Ram is seen the most. Battle Ram is very versatile in this archetype. The Battle Ram control decks range from Solo Battle Ram Control, Battle Ram Miner, Battle Ram 3M, Battle Ram P.E.K.K.A. and Battle Ram Phantom decks. Battle Ram can be a devastating card if it makes contact with the Tower. Since Control decks manipulate the opponent and restrict its play, Battle Ram is one of the best cards to use in this archetype. Siege: Battle Ram is really not a card to be used in a Siege Deck. 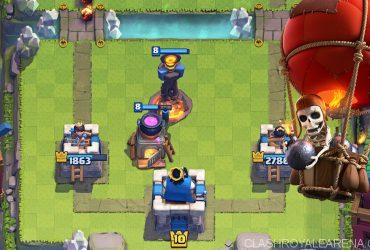 Even if you try to build a hybrid-siege Deck with the Battle Ram, the Battle Ram won’t be a good choice. Spell Bait: First of all, let me just say that I consider to be a different archetype while some of you don’t. However, the reason I consider it to be different is that it has a different playstyle than the Rock-Paper-Scissor (Beatdown-Control-Siege) archetypes. And even though it is currently played as a Control-type Deck, there are many other ways to play this archetype which are not seen much like Giant Sparky Spell Bait and Mortar Spell Bait, though they exist. Now, coming to Battle Ram, Battle Ram is a good card to use here because it is a good tank for the swarms and barrels as well as it can bait-out Zap and The Log because these two spells are used to reset its charge. Not seen much though, people prefer Miner and Hog Rider more in this archetype. That’s all folks! Hope you guys enjoyed reading the guide. Ask me about anything in the comments.